I'm literally overrun with mung sprouts! I sprouted far too many for the salad at the "baby ritual". I was put in charge of producing the sprouts because I have a huge sack of mung beans. It's at least five pounds of mung. That's even more than Mookie weighs! 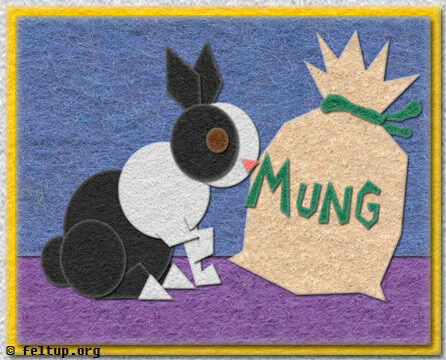 Does anyone know if mung is something that bunnies can eat?